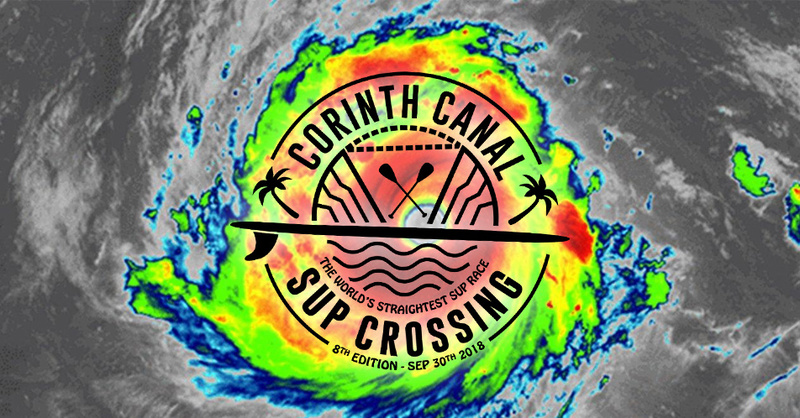 With the weather forecast changing every three hours and Xenofon approaching Greece, carrying strong winds and heavy rainfalls, organizers have to deal with the possibility of rescheduling the Corinth Canal SUP Crossing. First and major priority for organizers is the safety of 460 registered participants. Where lot of kids, newcomers in the sport of SUP and those who will travel from Greece and abroad are among them. Secondly the aim is for everyone to enjoy this unique experience, which held only one time every year. Based on the above, in case the event will be canceled due to the weather conditions, it will be rescheduled for the next week. Waiting for tomorrows forecast to determine “Xenofon’s” intentions. We come full family from Izmir, Turkey. Please, let’s do it this weekend.